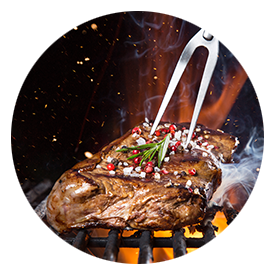 BBQ, bond & entertain with your own outdoor kitchen. Outdoor kitchens have become one of the most popular home additions due to their entertainment value, high return on investment, and the beauty it adds to properties. 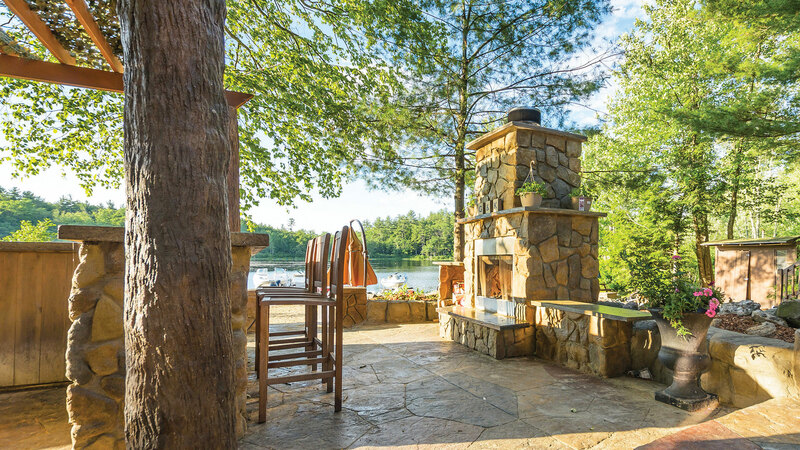 When thinking about the design of your outdoor kitchen, you want to consider the size of your patio, deck or space where your outdoor kitchen will be located. 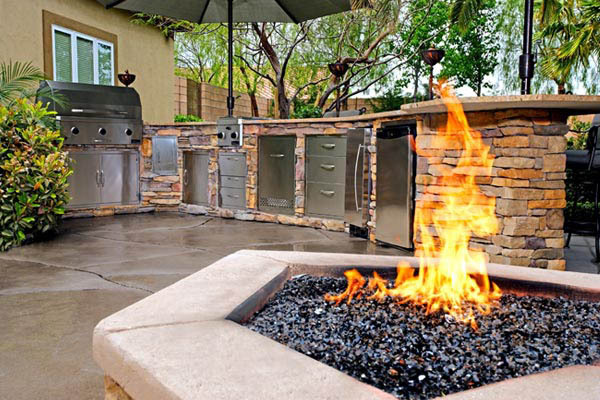 It is important to make sure that the outdoor kitchen footprint is proportional to your space so that there is enough room to walk around and congregate. You can choose the design, colors, and stone profile of your outdoor kitchen to fit the rest of your landscape and your home perfectly. 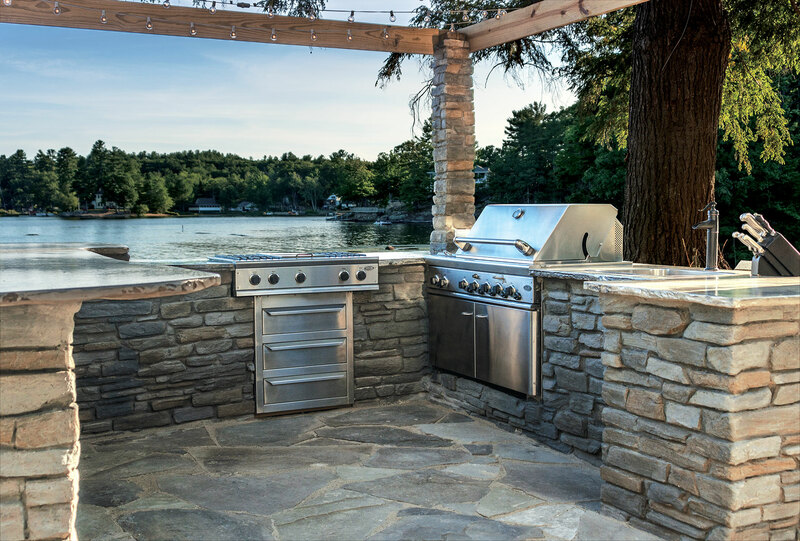 You never have to deal with the burden of replacing or repairing your outdoor kitchen-BBQ island or countertop because our engineered stone material is resistant to weathering, high heat, deep-freezing, abrasion, chipping, and scratching while also being freeze-thaw stable. 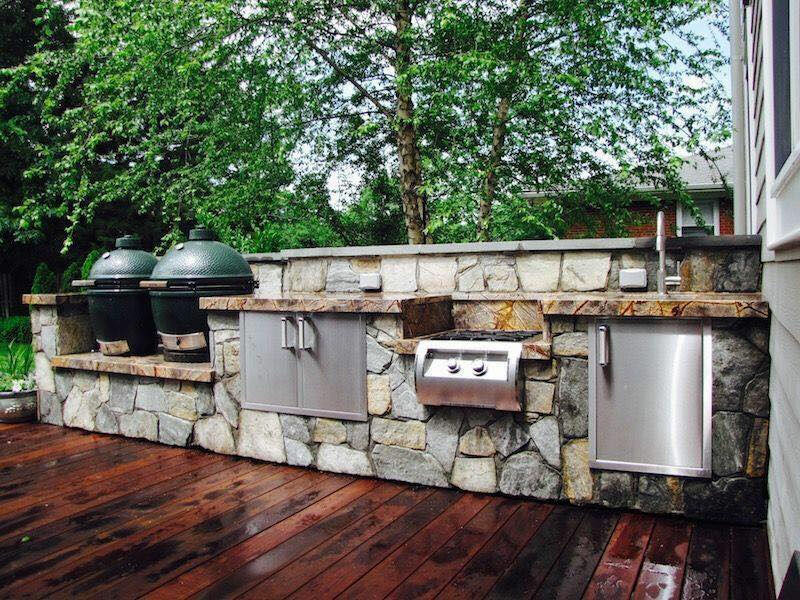 Contact us today to begin planning your ultimate outdoor kitchen and we will give you design help or a quote! 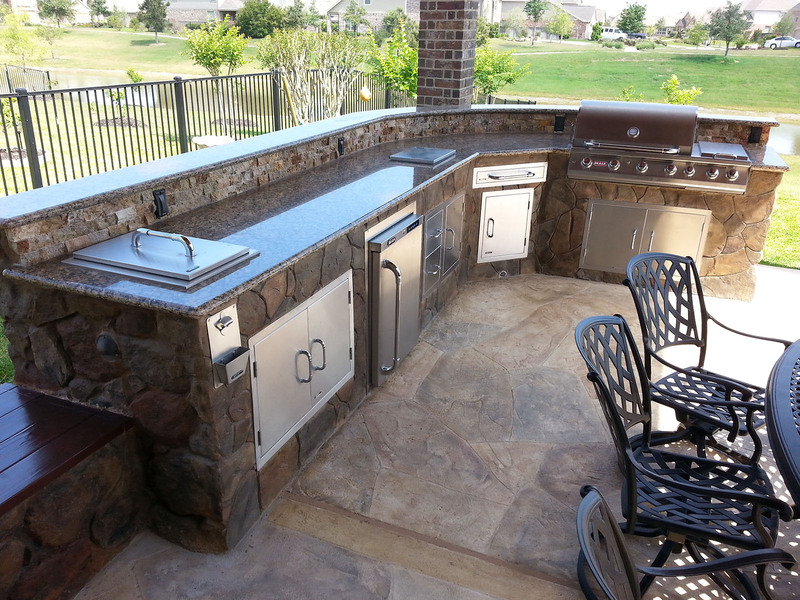 We guarantee you will have an outdoor kitchen that meets all of your desires and stays within your budget.